This might be one of the questions I get asked most often…how to choose the right probiotic. With a growing awareness about the importance of these friendly bacteria and the enormous impact they have on our overall health, more and more people are seeking out probiotic supplements to address a myriad of health issues from IBS to inflammation to immunity. As we understand more about our internal ecosystem of microorganisms we better understand how to care for it. Think of it like cultivating your inner garden of microflora. Mmmmmm, that’s nice. 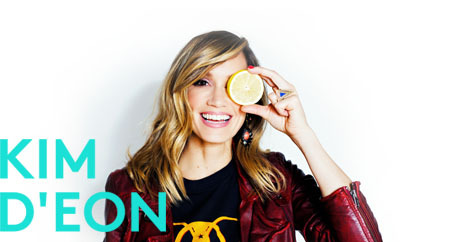 Excuse me while I nerd-out for a minute because I get seriously excited to talk about probiotics and gut health. Did you know that we have 10 times more microbes in our bodies than cells (like, 100 trillion!)? Collectively, we call this our microbiome; our personal ecosystem of microbes. Most of these tiny superheroes live in our digestive tract. When we’re healthy, we have a good balance between good and bad bacteria. But, when we aren’t treating ourselves nicely; we’re eating poorly, we’re highly stressed, or consuming antibiotics, we deplete the good guys and the bad guys start running amok (kinda like when you throw water on gremlins). With the increase in awareness and demand, there’s no shortage of probiotic supplements out there to choose from. I know this can be confusing. So, I’m writing this post to help clarify a few things. I have lost of info to share, but I’ll keep this post focused on a buyer’s guide to probiotic supplements. First, let’s learn some new words! Probiotic: Live, beneficial bacteria that support good health. Prebiotic: Food for those good bacteria to keep them strong and promote their growth. CFU: Colony Forming Units (basically, the number of viable/living bacteria) Living bacteria multiply and therefore colonize your gut. Make sense? 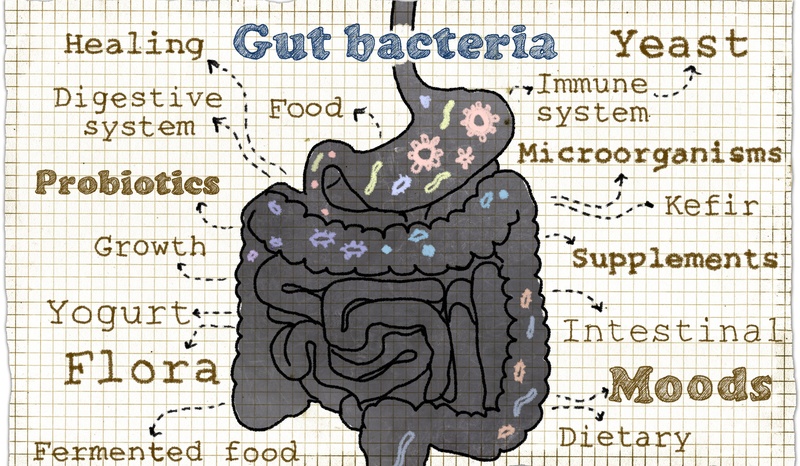 Microbiome: Our body’s entire ecosystem of microorganisms (including “good” and “bad” bacteria). Strains: Genetic variants among microorganism. For instance, there are 2 main categories of probiotics (lactobacillus and bifidobacterium) and within those groups there are over 400 different sub-categories (strains) in our digestive tract alone. Did you find that as fun as I did? Now that we’ve got that down, I’m happy to report that you can easily get all sorts of different strains of probiotics from food. 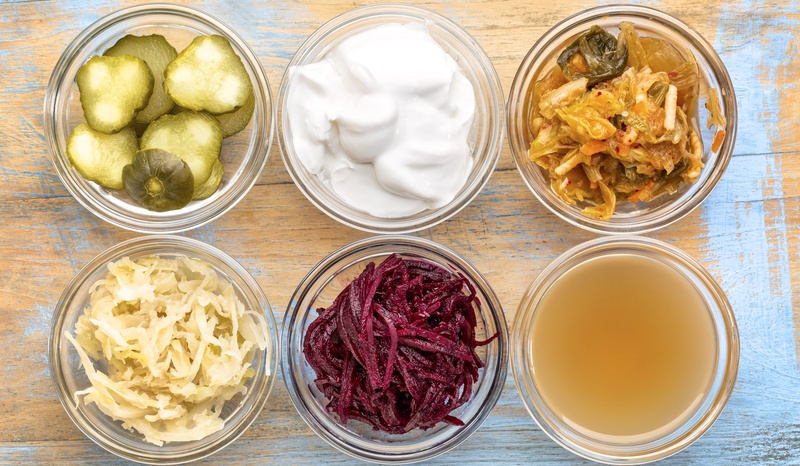 Fermented foods like sauerkraut, kimchi, tempeh, pickles, kefir, apple cider vinegar and miso are all chock-full of good bacteria due to the fermentation process. I love the tangy zing and delicious savoury bite that a lot of these foods offer up and add them to my diet whenever I can. But, I realize that not everyone shares my love for fermented foods and sometimes you just can’t get them in on a daily basis. So, that’s where supplements come in handy. The right probiotic supplements can provide your gut with a reliably measured dose of those good guys when you can’t get enough from food sources. But, not all probiotic supplements are created equally and there are a few key things I’d advise you to consider when you’re out shopping. While there isn’t a consensus on the minimum number of microorganisms that should be ingested to obtain a beneficial effect, typically you’ll want to look for CFU in the Billions. Having billions of viable bacteria delivered to the gut is more likely to provide adequate gut colonization. After all, your gut is home to about 100 TRILLION types of different microbes so it can handle billions of the good guys coming to the rescue. After a particularly stressful time, I’m dosing with the 50 billion CFUs for at least a month to help rebalance my own microbiota. First off, the bacteria in your probiotic supplement have to be alive or viable to do any good. If those good guys are dead on delivery, they won’t do you any good. Look for details on the company’s packaging or marketing materials that explain how the probiotics are processed to ensure viability. Packaging and storage are also very important since a variety of factors like heat, moisture and light can erode the quality or your probiotics. Look for packaging that minimizes exposure to these factors. Many are kept in the fridge for this reason, though more and more companies are making shelf-stable products for convenience (Hallelujah)! Individual blister packs are a great layer of added protection from the elements. Even if they’re packaged well, they need to stay alive long enough to reach the gut. Probiotics can’t survive the acidic environment of the stomach – it’s harsh in there! So, you’ll want to look for delayed-release or enteric-coated supplements which will survive the harrowing journey through the stomach until they can finally be released to the target organ; the intestines. That’s where they can work their recolonizing magic. For this reason, I also recommend taking your probiotic supplement with meals to take advantage of a more alkaline (less acidic) environment in the stomach. Because our gut houses so many different strains of bacteria and they all do different “jobs” it’s best to look for a multi-strain probiotic to help ensure that you’re covering more bases. Studies have shown that probiotics containing more strains tend to be more effective than supplements with concentrated doses of just one or two strains. Very much like how nutrients in food work synergistically, so do bacteria. The whole effect is greater than the sum of its parts. Many good quality probiotics are found in the fridge. Like I said, these little guys are alive and keeping them refrigerated used to be the best way to ensure they stayed fresh. Thankfully, more companies are creating shelf-stable probiotics, which are produced and packaged in a way that keeps them viable even on a shelf. But, beware: probiotics and moisture don’t mix well. So, while you may have a bottle of shelf-stable supplements on hand, if you’re opening over and over again in humid conditions, you can be reducing the viability of the microorganisms contained within. How on earth would you know if the bacteria were dead or alive without an expiration date? An expiry date should be clearly indicated somewhere on your probiotic’s package. I’ve found an amazing probiotic supplement that fulfills all these criteria and more! I like them so much that I’ve partnered with Genuine Health on the launch of their new Advanced Gut Health Probiotic. These supplements include 15, carefully selected, strains that mimic a healthy human gut flora. 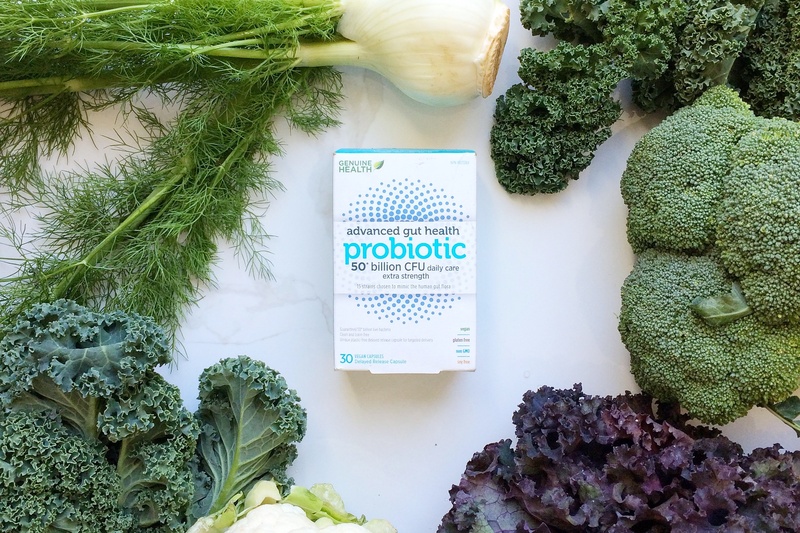 Advanced Gut Health Probiotics offers two varieties of hearty, high-dose probiotics: you can choose between either 15 billion CFUs or a 50 billion CFUs, “extra strength” dose. Each of these strains is cleaned in small batches in a temperature and humidity controlled environment ensuring that only the most viable and potent strains are included in the final product. From there, the hearty and healthy strains are encapsulated in a vegan, delayed-release capsule with a fermented prebiotic to ensure they pass through the stomach acid and reach the gut where they can thrive (45 minutes later than standard capsules) and therefore can deliver up to ten times more bacteria to the gut. On top of all of that, these little suckers are shelf-stable and kept in, individually sealed, blister packs to ensure that each one is at its optimal freshness when you pop it out. Makes traveling with these guys a breeze. 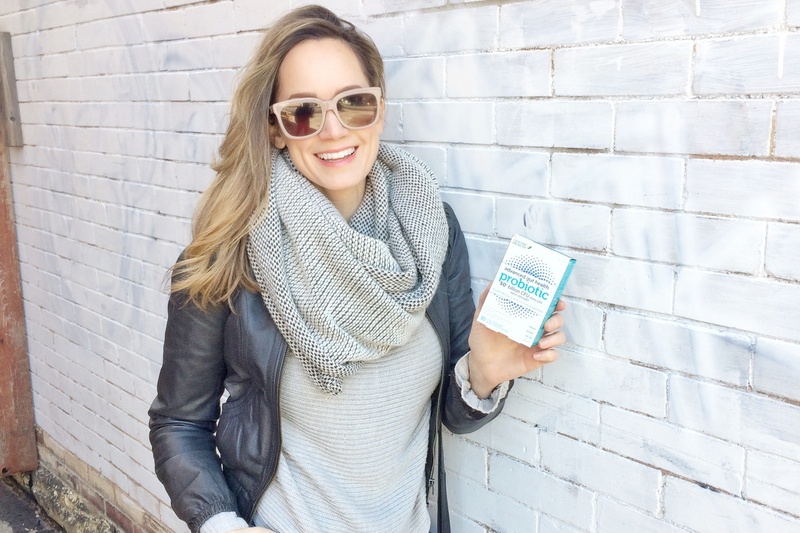 Read more about Genuine Health and their new line of probiotics here! 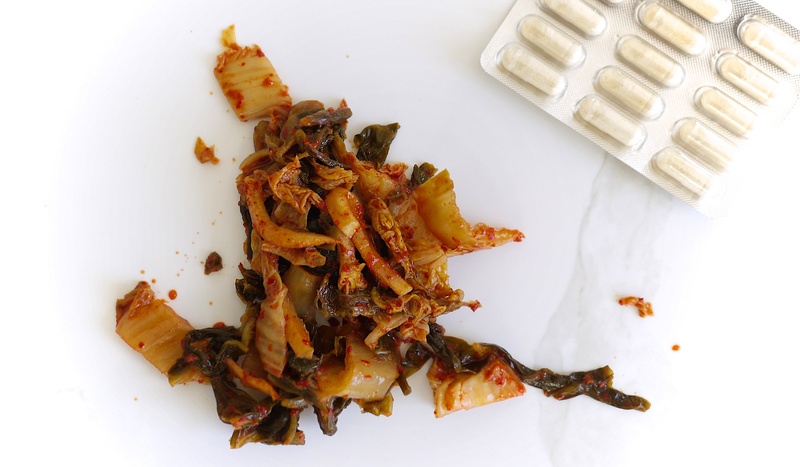 Looking to find out where you can get your hands on these particular probiotics in your area? Click here! Now, go on and #LoveYourGut! These statements have not been evaluated by the FDA or Health Canada. This product is not intended to diagnose, treat, cure or prevent any disease. The information on this site is for educational purposes only and is not intended to replace advice from your primary healthcare professional. Please consult your professional healthcare provider before starting a treatment, supplement or making changes to your diet. Kim D’Eon shall not have any responsibility for adverse effects, errors or omissions arising from information in this site.